Our class has been particpating in the Global Read Aloud. It is a global literacy initiative founded by Pernille Ripp. It has connected more than 2 000 000 students in 60 different countries. Pernille's goal is to have one book to connect the world. For six weeks, our class read Pax by Sara Pennypacker. It is the story of a twelve year old boy who is forced to abandon his domesticated fox when his father decides to join the approaching war. 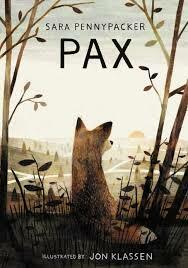 Students enjoyed the story and liked how the chapters alternated between the perspectives of the boy and the fox. Using Edmondo, our class made a connection with Mrs. Ballard's grade 5 class in Texas. 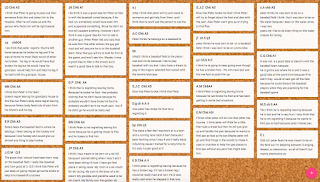 We used Google Hangouts to meet and discuss the book with each other on several occasions. Our class using Google Hangouts to discuss Pax with Mrs. Ballard's class in Texas. We also used #GRA16, #PaxSlowChat, and #GRAPax on Twitter to regularly communicate with others. 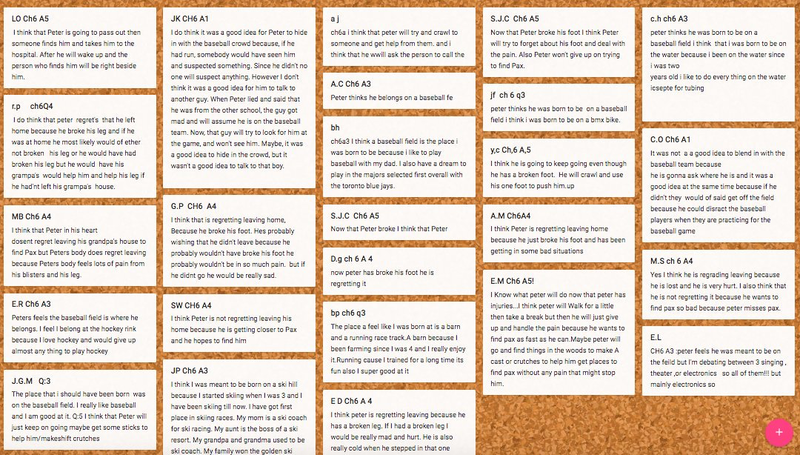 Students would sometimes reply to questions posed by another class using a Padlet and we would tweet the Padlet. It provided an authentic audience for the students. 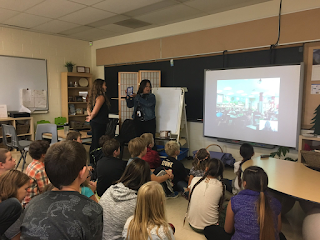 The Global Read Aloud was a great experience and we can't wait to find out which books will be featured next year.